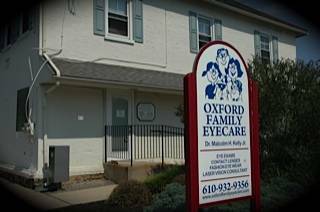 Oxford Family Eyecare is conveniently located in Oxford, PA! Welcome to our Oxford office. PLEASE NOTE: Our office is closed for lunch between 1:00 PM -2:00 PM daily.